When Mayda Cardona-Brunk went into labor, she and her husband rushed to the hospital, but they ran out of time and simply couldn’t make it in time for the birth. So, the dad ended up literally taking things into his own hands in a parking lot. 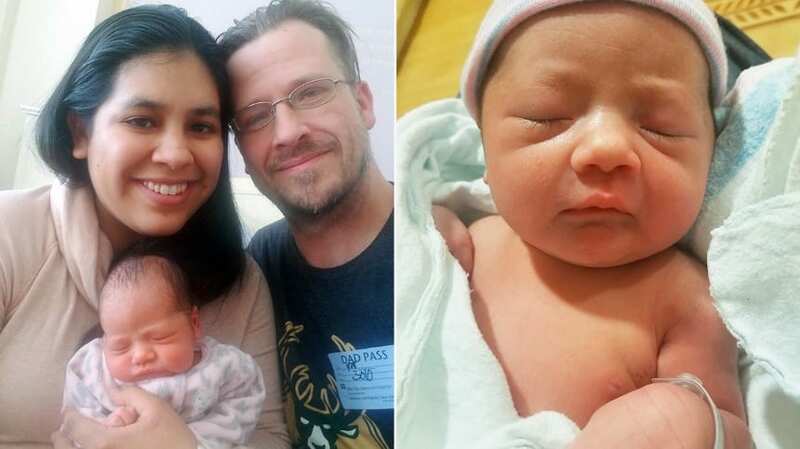 For Jason Brunk and Mayda-Cardona Brunk, the birth of their daughter was something they had been looking forward to. The other member of the young family, their first born son Mason, had also been eagerly awaiting for the arrival of his baby sister. 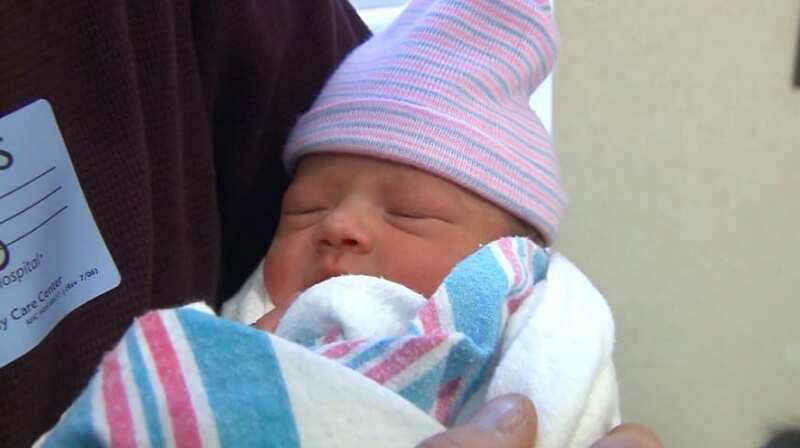 As fate would have it, baby Layla Brunk happened to make an arrival at a time that caught the couple off guard. According to Brunk, his wife experienced sporadic contractions that night, just like every other night. These ones got a little more serious however, and Mayda informed her husband that it was time to head over to the hospital. The couple was a little delayed when they tried to wake their son Mason to join them. Brunk says that Mason had been waiting for that moment for months, and they didn’t want to leave him behind. Mason took some time before he fully woke up, after which he threw a tantrum and said he didn’t want to come to the hospital with them. Mayda and Brunk were surprised at his change of attitude, but agreed to leave him behind under the care of his grandmother. The couple had driven several blocks from their home when Mayda’s water broke. Since they were still 15 minutes away from the hospital, Brunk instantly panicked. He recalls that there was water everywhere. That’s when he decided to call 911. The dispatcher who responded to his call advised him to pull into the nearest parking lot. By this time, Mayda was contracting at a faster rate and screaming that she could feel the baby coming out. Brunk, in his panic, asked her to push it back. It was through the police dispatcher’s calm instructions that Brunk was able to calm down enough to help his wife through the process. Brunk mentioned that he was amazed by how smoothly everything went. He used a big scarf to catch the baby on birth. “I didn’t have to pull, I didn’t do anything. She just popped out into my scarf,” he said. And in this manner, baby Layla Brunk born, in the parking lot of the Country Inn and Suites in Brookfield, in her parents’ car. Paramedics arrived at the scene just after Mayda’s safe delivery. The family was then taken to the West Allis Memorial Hospital. Routine tests were run on mother and daughter and the doctor declared that they were okay. According to the attending doctor, Mayda did wonderfully, and Brunk was amazing at his help with the delivery. Brunk expresses immense satisfaction and joy in the fact that he was the first person his daughter saw when she came into the world. In the end, the family was okay and glad to have their new member safe and sound.